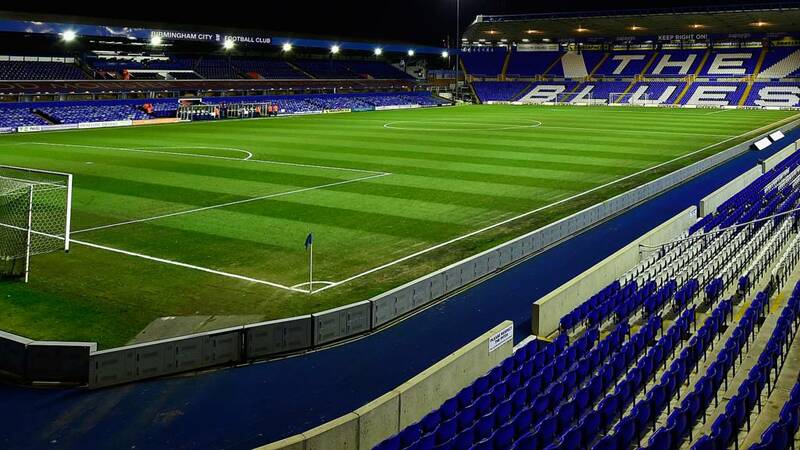 A goal-drought at St Andrew's is broken, a contentious penalty will occupy all the post-match reaction and all three points go into Birmingham City's Christmas stocking. Defensively, Blues were enormous as they protected their lead against a Cardiff side that will feel aggrieved. Read Ged Scott's full report here. That's all we've got time for tonight. Enjoy the rest of your evening, but be sure to return to the BBC Sport website on Saturday for live text commentary of the top-of-the-table clash between Brighton and Middlesbrough (kick-off 12:30 GMT). "It's frustrating obviously, we saw that it wasn't a penalty. "I spoke to the referee afterwards and he said look Tony, if I've made a mistake, I've made a mistake, we can't do a lot about it." The closest thing to an apology from referee David Coote will be scant consolation for Cardiff as they miss their chance to move into the play-off places for Christmas. "It's massive. The fans have been waiting a long time, we've dropped a few points here so it's nice to keep a clean sheet and win the game." The result moves Birmingham City past Cardiff into seventh place. Blues occupy that spot on alphabetical order alone it seems as they have exactly the same points tally, goals for and goals against. And that's it. Birmingham take maximum points courtesy of what was a contentious first-half penalty. Paul Caddis converting from the spot with the decisive goal. Birmingham doing well to control how these last few minutes are playing out. Cardiff, now with no option but to punt the ball long upfield in hope. Four minutes of added time are flashed up on the board. It's all over at Roots Hall where Southend have run out comfortable winners against Bury. Southend striker Noel Hunt scored twice in the first half before Leon Clarke pulled one back for Bury just before the break. But Dave Mooney extended the lead from the spot after the break after Nathan Cameron hauled down Jack Payne before Payne added a fourth with a superb finish into the top corner. That was well worth the wait after three weeks without football if you are a Shrimpers fan! Tomasz Kuszczak with a superb diving save to his left, gets those all-important fingers to a curled effort from Scott Malone. The Birmingham goalkeeper has not had a lot to do tonight, but has he just ensured all three points for the hosts? A few yellow cards have been brandished in the second half, and a frustrated Tony Watts is the first in the book for Cardiff for a push on Stephen Gleeson. Birmingham City finishing the stronger of the two teams and Demarai Gray calls David Marshall into action at his near post with a thumping effort. David Davis, with all the time and space you could want, just whacks the ball wildly across goal after Demarai Gray's deflected found the substitute on the edge of the area. There is just eight minutes remaining for Cardiff to take something from this game. Chances have been few, but the visitors have wasted those that have fallen their way. Substitutions galore as these two sides look to change things up in pursuit of the points at St Andrew's. Birmingham City defender Shane Lowry is replaced by Greg Halford, while Cardiff manager Russell Slade opts for a double change, Aron Gunnarsson off for Peter Whittingham and Graig Noone takes Anthony Pilkington's place. Tony Watt, the man is everywhere. He comes up with possession in Birmingham's half, but tries a little to much. Eventually, Birmingham's Jacques Maghoma finds himself withing shooting distance and lets rip... right into a Cardiff body. This is in danger of becoming a rout now. Jack Payne adds a fourth for Southend as he cuts inside the area following a quick free-kick and smashes a shot into the top corner. Tony Watt screws a low cross menacingly across the face of goal following a quick free-kick, but Birmingham's Jonathan Spector is crucially there to clear - and only just, as he sees the ball behind for a corner off the outside of the post. Cardiff chasing the game with real purpose now and knocking on the door of a breakthrough. Also, among all the action of the last few minutes, Birmingham made their second change with David Davis replacing Jon Toral. Sammy Ameobi with a terrible miss there for Cardiff. With a flash he is into he area, latching onto the ball at back as Tony Watt dishes off on the edge of the area. But the finish is not there, as he digs the ball well wide of the far post. Goalkeeper Tomasz Kuszczak just watched as it sailed on by, when he really should have been tested. Southend restore their two-goal advantage at Roots Hall and surely they won't let this lead slip? Jack Payne is brought down by Nathan Cameron in the box and the referee points to the spot. Dave Mooney calmy converts the penalty and Southend have 15 minutes to hold on. A fine effort making the trip from Greater Manchester to south Essex on what is supposedly the busiest day of the year to travel. Just over 15 minutes to go.